Genoa is a town in southwest Cayuga County, north of Ithaca and south of Auburn. Because of its proximity to Auburn, the home of Michaels & Smolak, a number of Genoa’s medical malpractice and injury victims have been represented by the firm. A recent example includes an infant who was a passenger in a van that rolled over during a motor vehicle accident, causing the infant to sustain facial scarring. Michaels & Smolak’s 4 lawyers are well known by judges and other lawyers in courthouses throughout Central New York, but especially in the Auburn and Syracuse areas. 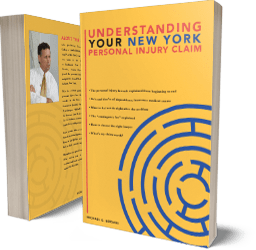 The law firm has gained the confidence of other lawyers in the community, so much so that Genoans seeking a personal injury or medical malpractice lawyer often find Michaels & Smolak by reference from other lawyers. Directions to Michaels & Smolak’s Auburn law office from Genoa can be found HERE.